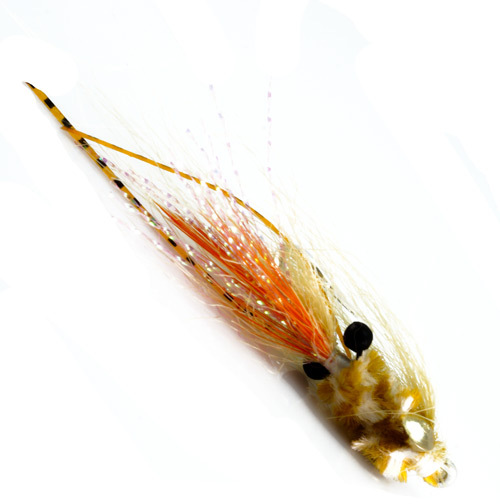 A fly for Bonefish, Permit & Redfish. This is a shrimp imitation that is a cross of Peterson’s spawning shrimp & And Veverka’s Mantis Shrimp. It just has a bit more color & swims a little better when stripped. This one seems to hover and slowly sink when stopped. 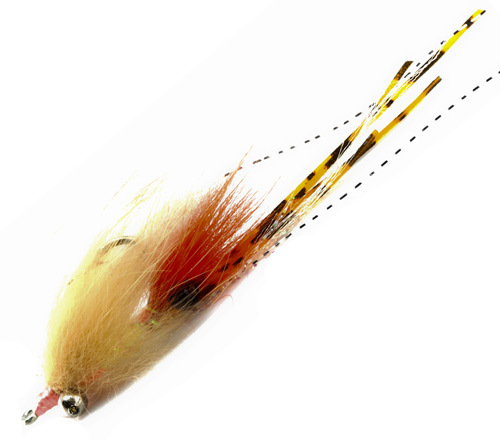 It is light and has a spun hackle body for a nice soft landing to spooky fish in skinny water flats. 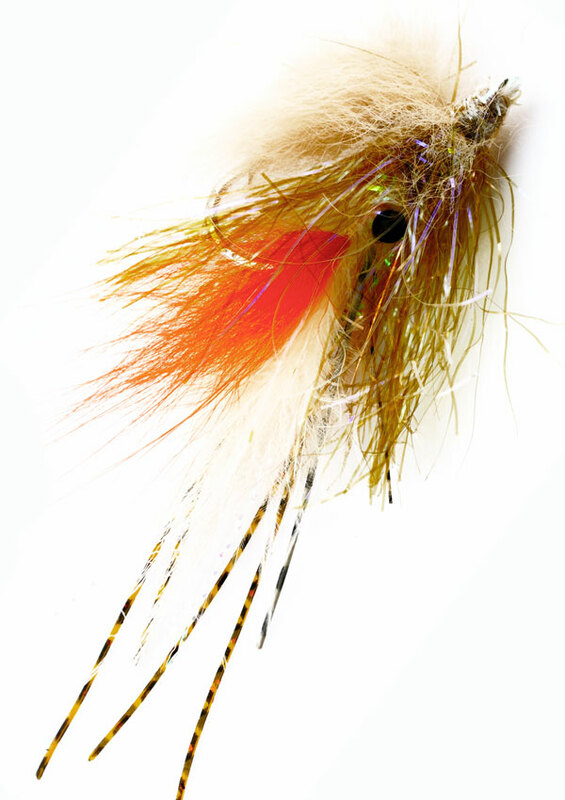 Marabou Orange, Cream or tan.